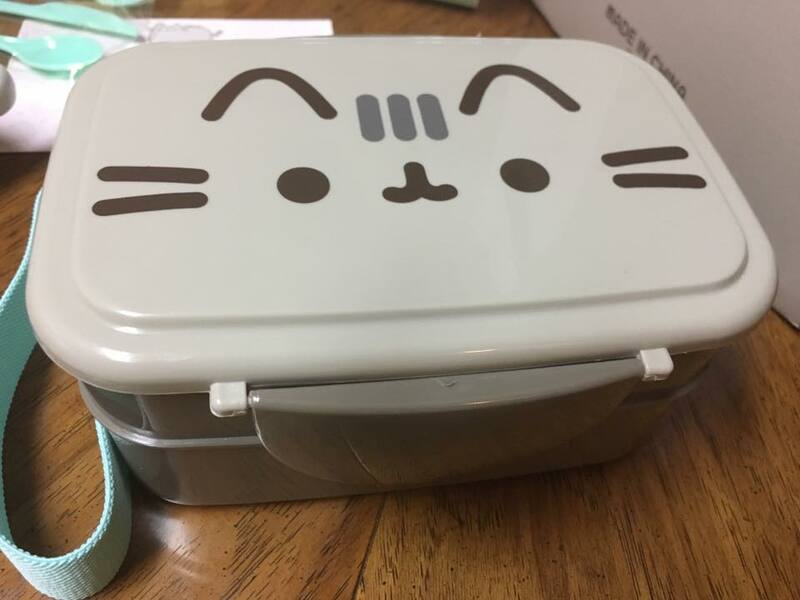 I received my box in May, which happens to be my birthday, and inside, there’s tons of birthday / party related goods – awesome coincidence. 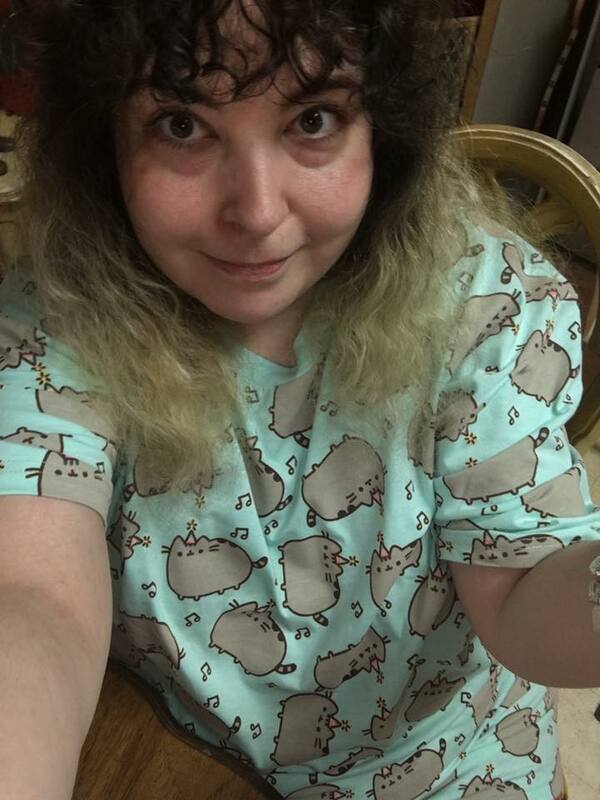 I could throw myself a Pusheen party, but don’t have anyone to invite except for my cats lol. 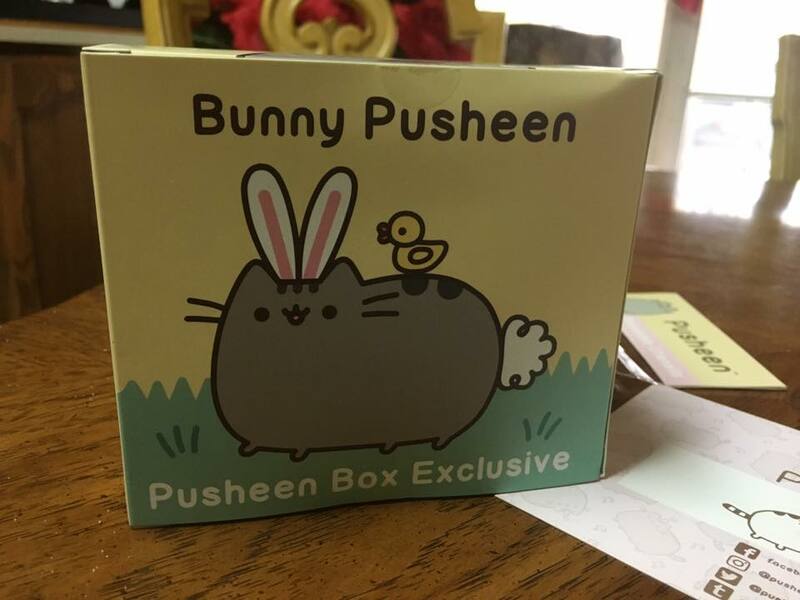 It came packaged in a cute Bunny / Easter themed Pusheen faced box. 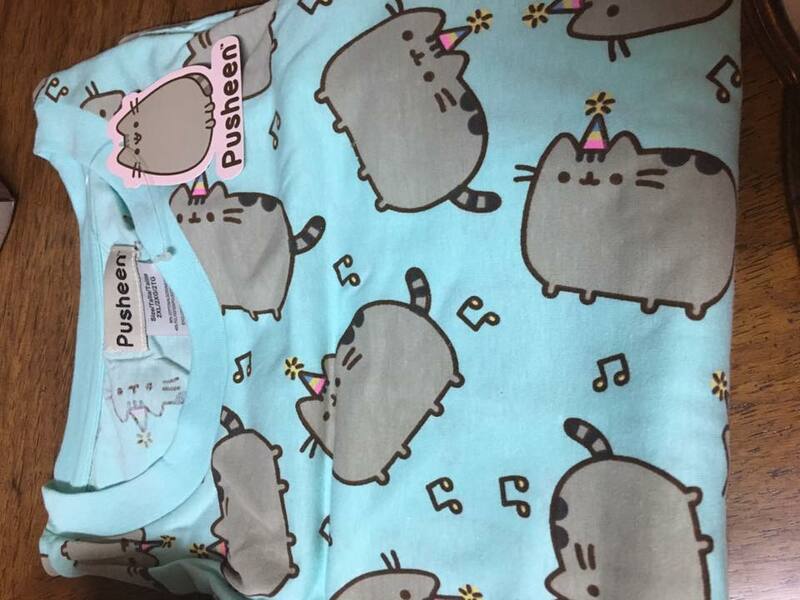 You can already see the next item in the above pics, a Pusheen Tshirt, here’s another look. Mine is a wee bit big. I think it will probably shrink though when washed? lol. 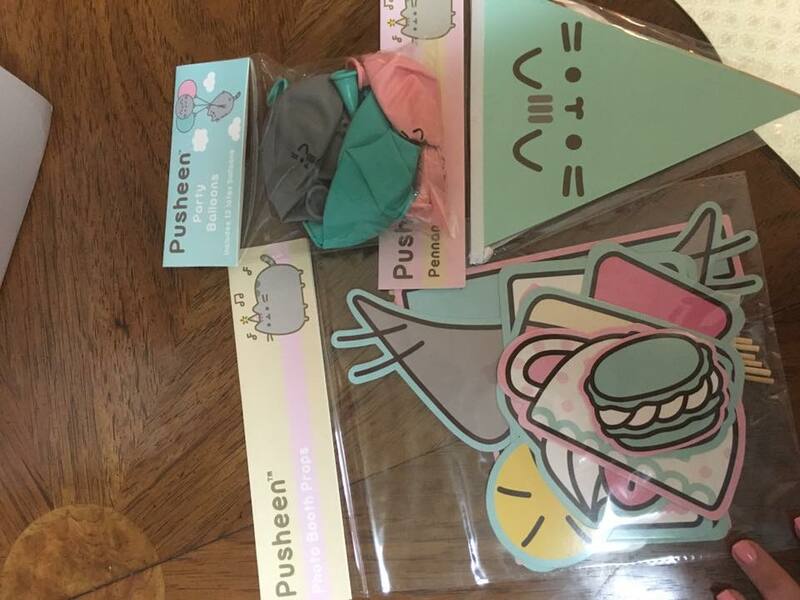 The colors are so cute and the lil birthday hat Pusheens kill me lol. 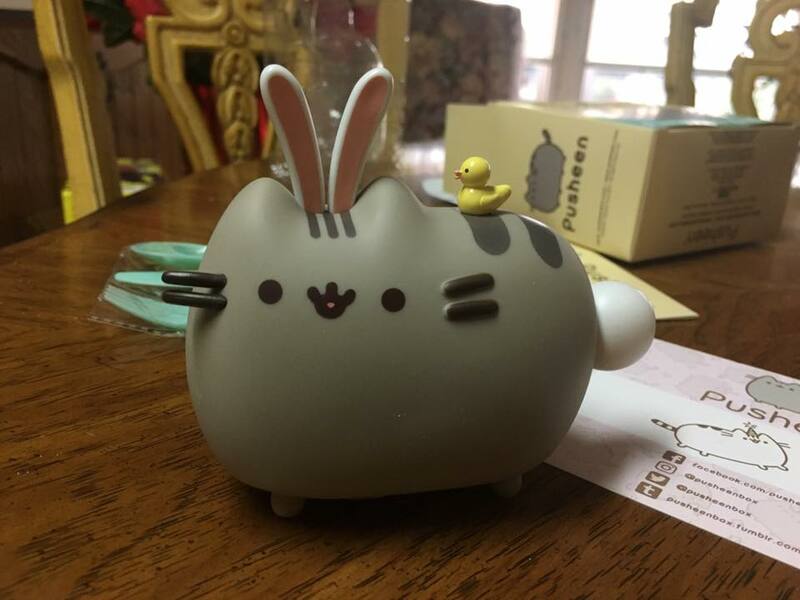 This month’s exclusive vinyl figure is an Easter bunny Pusheen with a spring chick on her back. 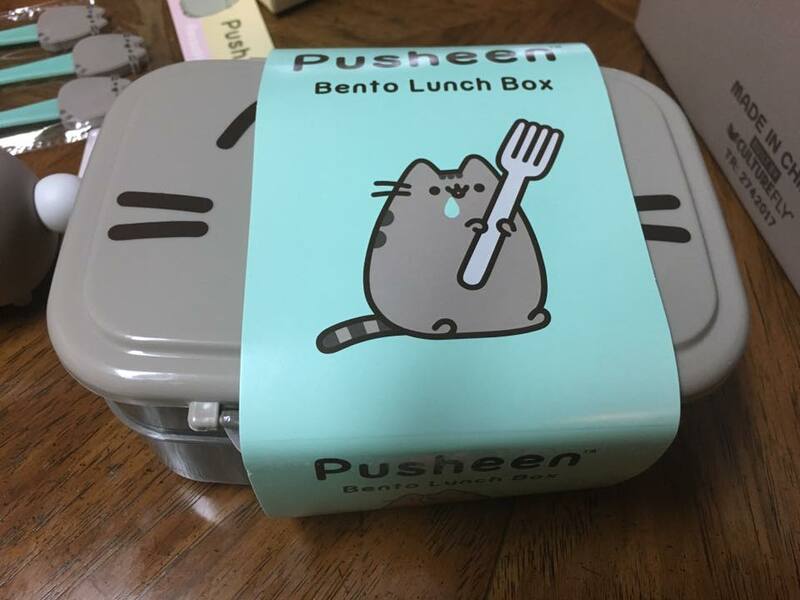 The next big ticket item is the adorable and useful Pusheen Bento Box and Utensil set. 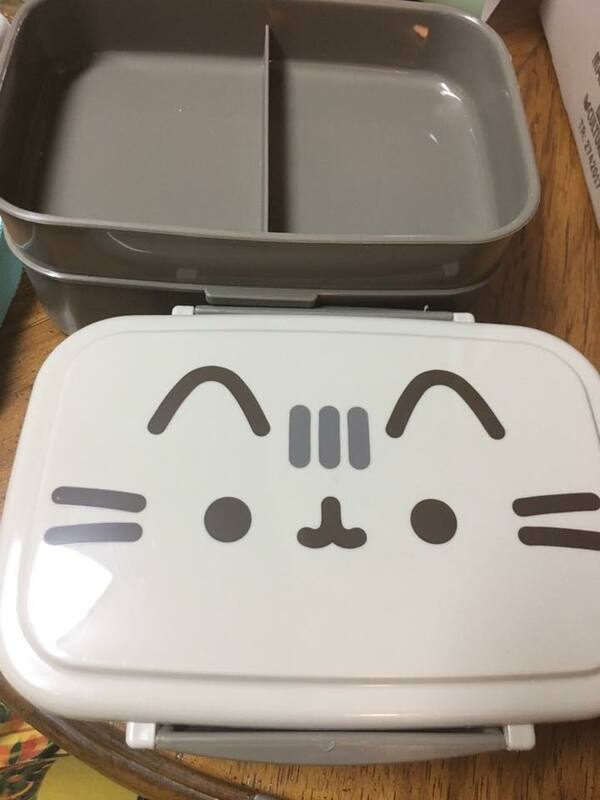 Perfect to pair with the Pusheen thermos from the Pusheen 2016 Winter Box. 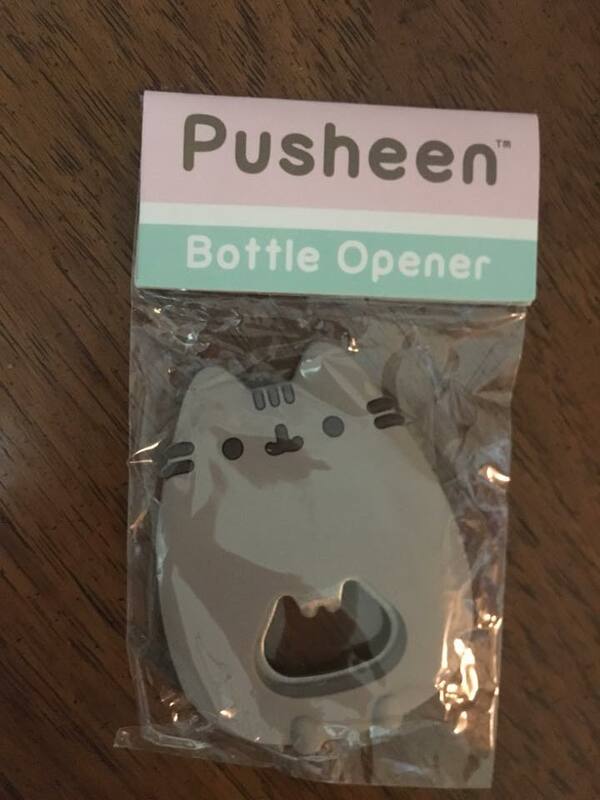 All that food is going to make you super thirsty, so they’ve given you a bottle opener shaped like our favorite feline. What party would be complete without some tunes? 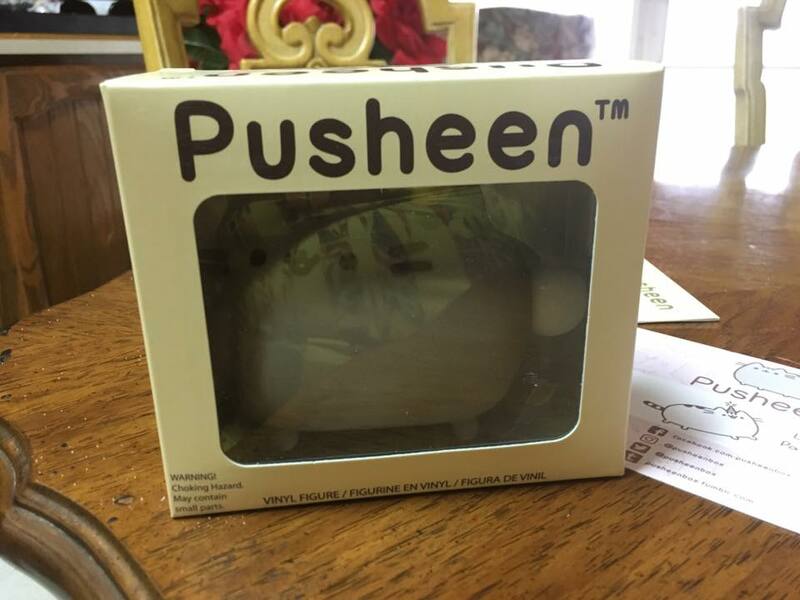 Enter this adorable Pusheen Wireless Speaker to solve all your party music needs. 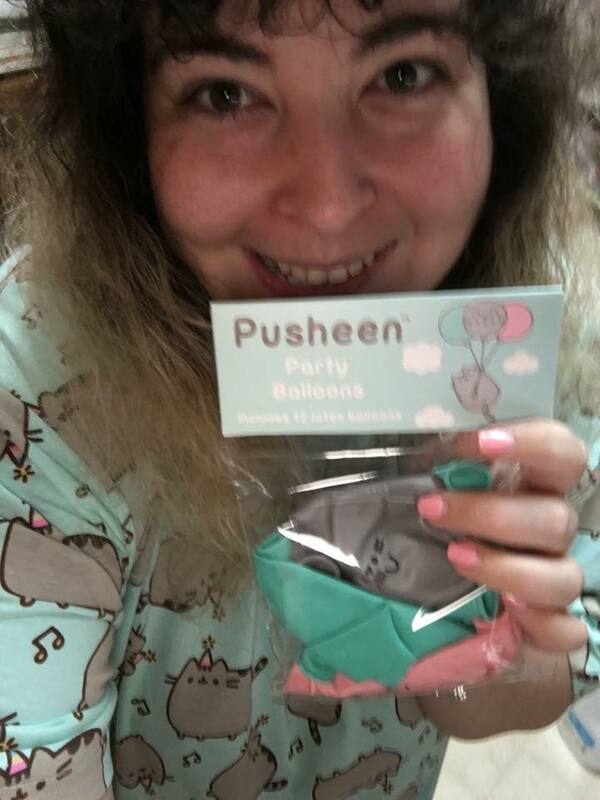 Last, but certainly not least, a cute Pusheen selfie stick to capture memories of your party with your friends! My phone case doesn’t really fit too well in here, and it was a lil difficult to operate, it didn’t seem to support the weight of my phone (or case) too well. Did slightly better when I removed the case. Maybe I just don’t know how to use a selfie stick lol. 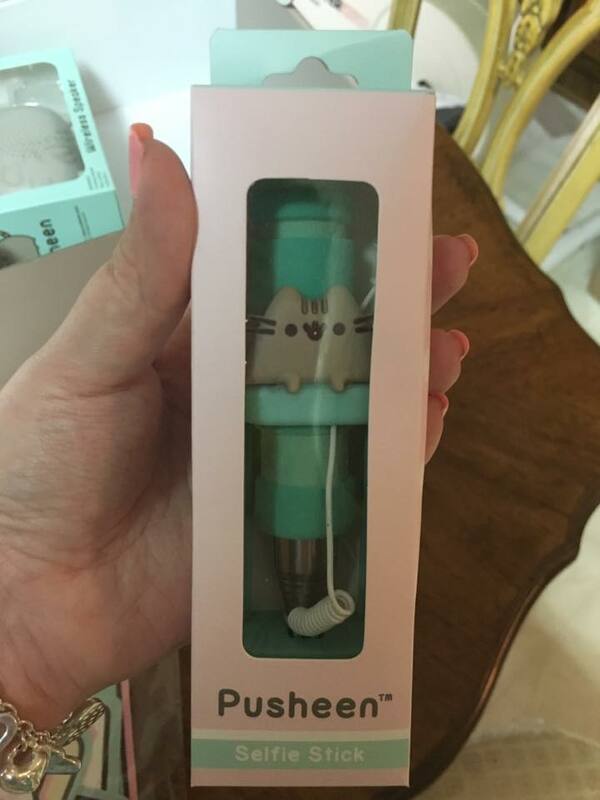 It seemed “loose” and wanted to flop “forward” from the “square” part that holds the phone… Still cute, but dunno if I’d trust it to hold my expensive Iphone lol. Also speaking of things flopping forward, Some of the Photo Booth Props seemed floppy – but maybe I’m just a derp and didn’t assemble them correctly. That is about my only complaint in this month’s box. 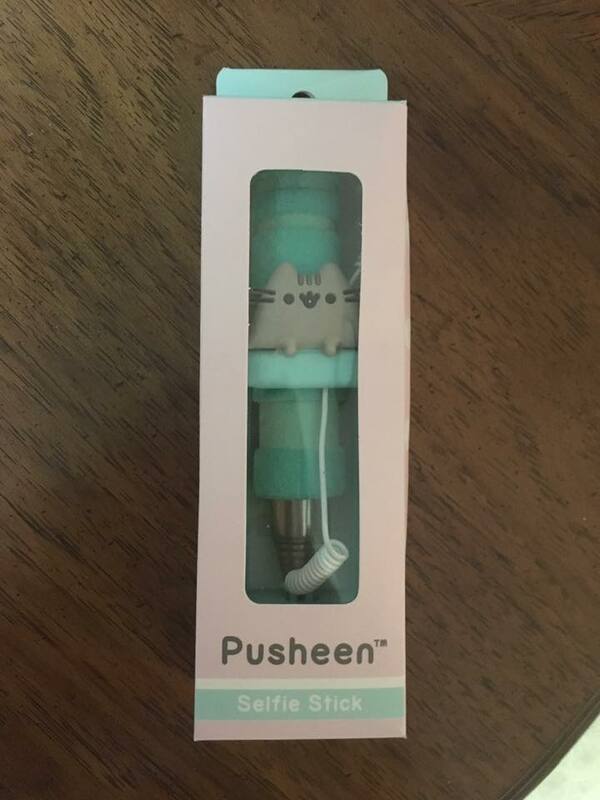 As always is the case with my Pusheen Box reviews, this is in no way a paid review. They do not even have a referral program. I’m merely sharing photos of all the cuteness because I know it will appeal to my readers. 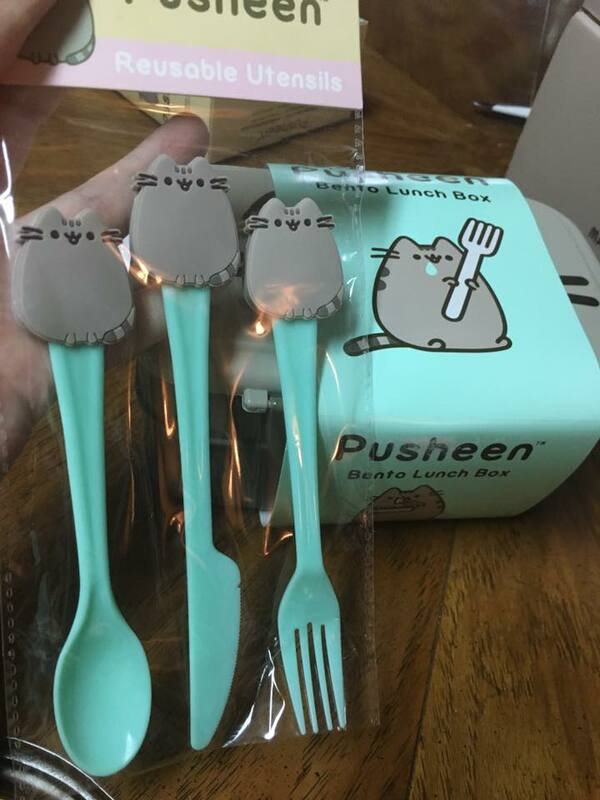 Packaging: 10/10 – The box is even shaped like Pusheen, the bottom of the box even has jelly bean toes – can’t handle the cuteness. 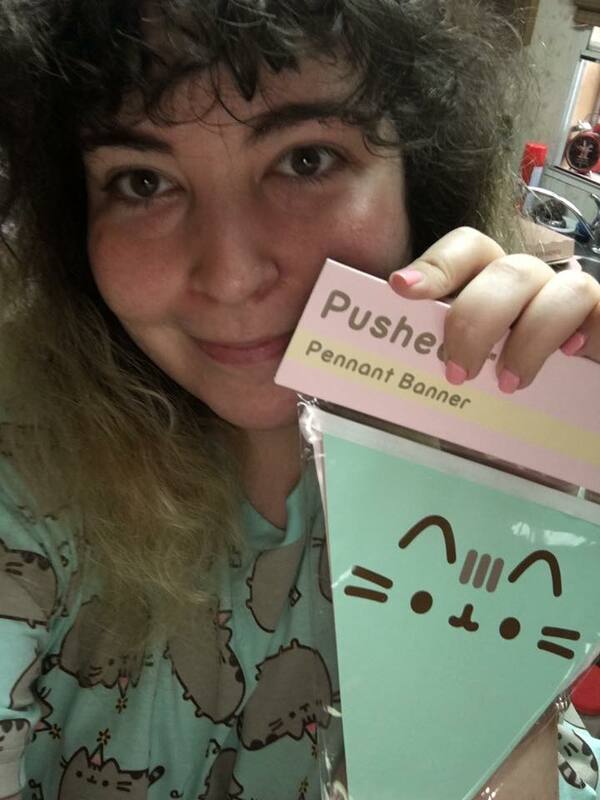 Quality of Items: 7/10 – this month had a lot of “cheap” “paper goods” such as the photo booth props, banners, balloons, etc. While I was still happy with those (especially given that my birthday is next week lol), I am not used to seeing these lower quality items. Also as mentioned the selfie stick didn’t seem very sturdy to me. — The other items are all super high quality though. 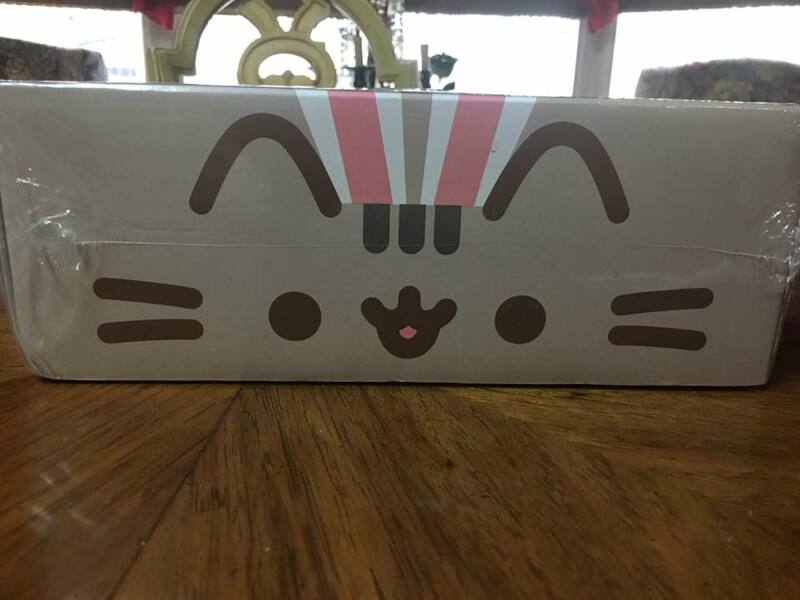 And compared to other boxes where you get mostly “cheap” plushies and stationary items, this box still feels higher quality overall. 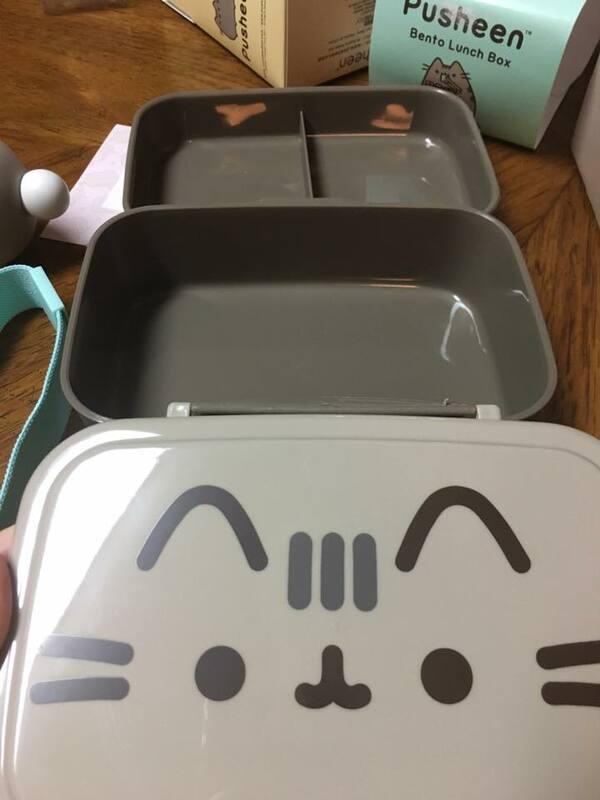 Size of Items: 8/10 – Many nice larger items such as the Bento, Wireless Speaker, Vinyl Figure, Tshirt, and etc. Offset by a few cheaper/smaller items (mentioned above). 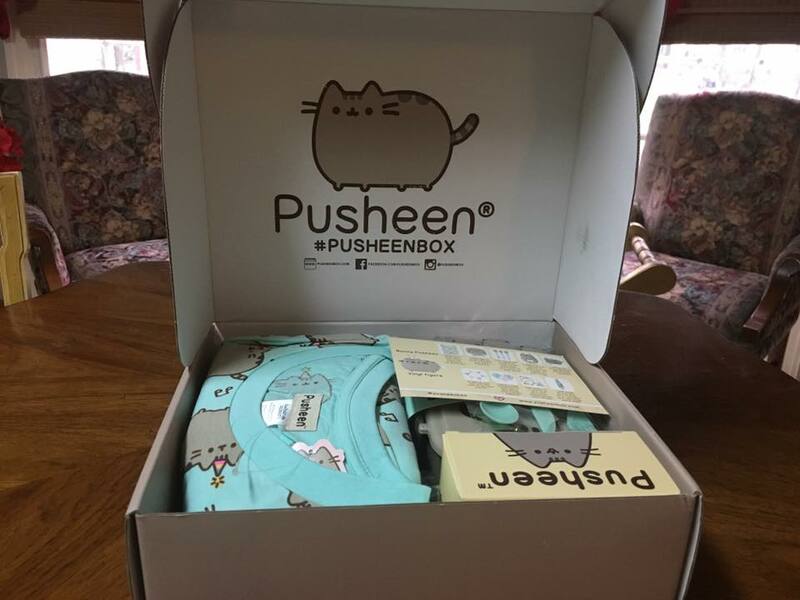 Overall, compared to other boxes, Pusheen box consistently delivers more “big ticket” items. 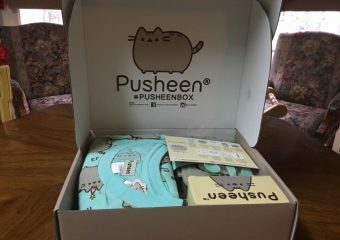 Compared to past Pusheen Boxes, the Spring 2017 box has a lot more smaller items as well. 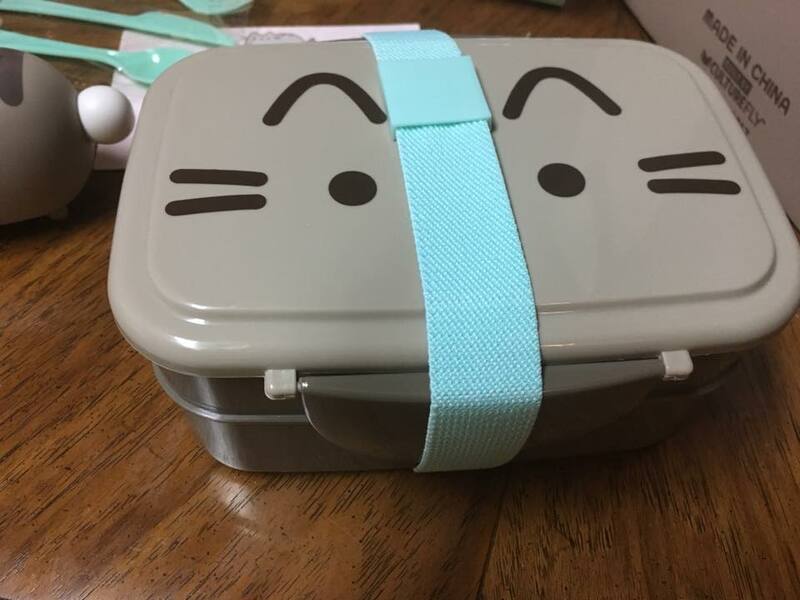 Hope this is not a continuing trend in the Summer box. Still mostly satisfied and surprised by the number of expensive, large, nice items. I feel it is well worth the cost of subscription and not just trinkets and baubles. Click to visit J-List now! Variety of Items: 10/10 As always, a nice variety of items, ranging from fashion, to home goods, to toys, to stationary, to even electronics. Rarity of Items: 10/10 The exclusivity of the items – being only available in this crate and not in any stores, makes this box one of my all time favorites for collector value. 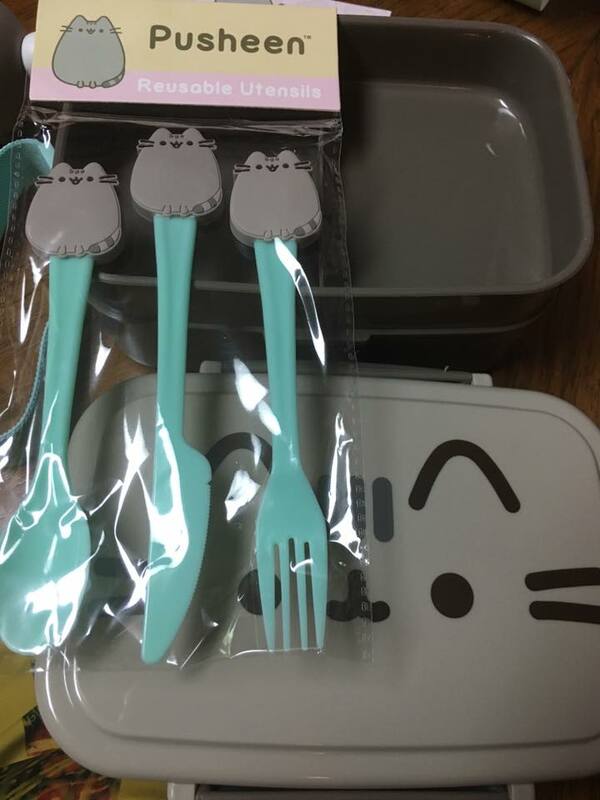 Items Fit Theme: 9/10 Everything is 100% licensed Pusheen Goods. This month’s theme seemed to be a “party” theme and almost all of the items fit this theme, you have food and drink, party decor, music, and memories. 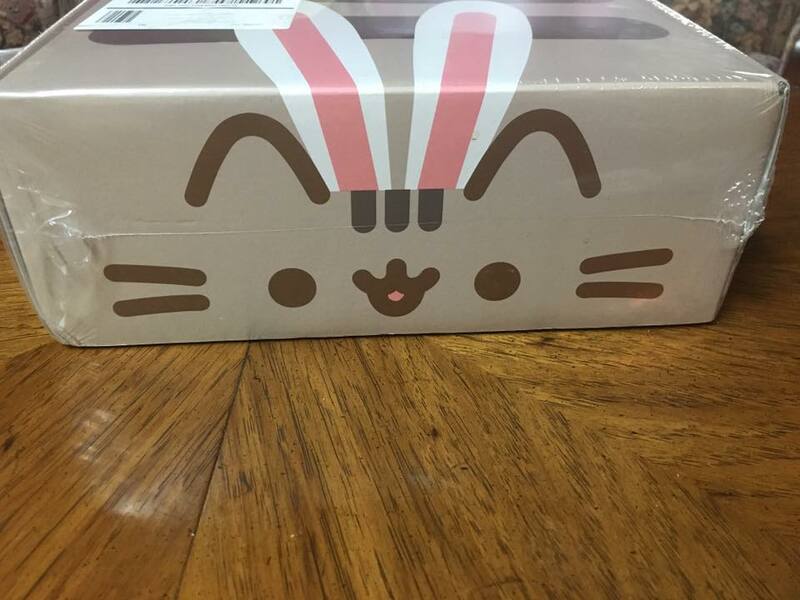 It also seemed to have a vague easter theme with the box having bunny ears and the vinyl exclusive this month matching that. 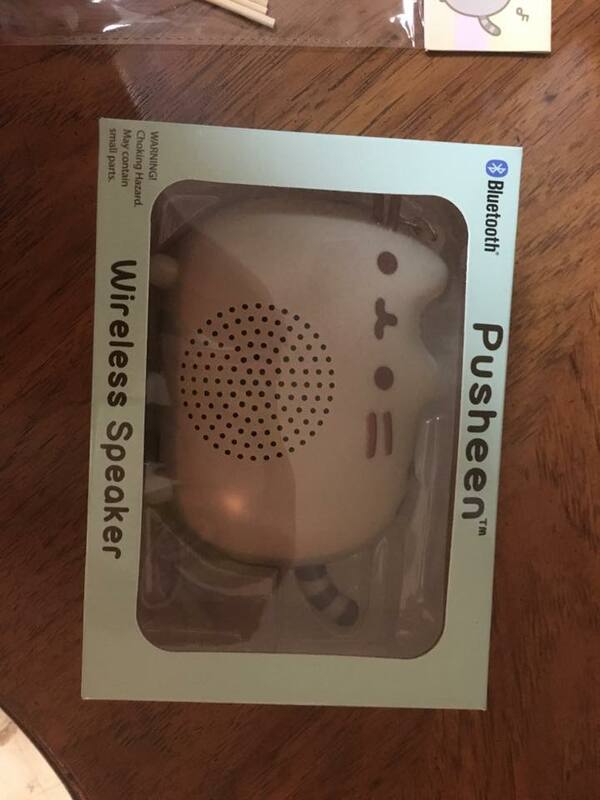 Perhaps a better match would have been a party hat Pusheen box and vinyl figure. But that’s a minor thing :).